Mitchell 1, along with airfare and hotel accommodations to attend the event to receive his award. Wolfe studied automotive technology at Central Pennsylvania Institute of Science and Technology in Pleasant Gap, Pennsylvania and diesel industrial technology at Universal Technical Institute (UTI) in Exton, Pennsylvania. 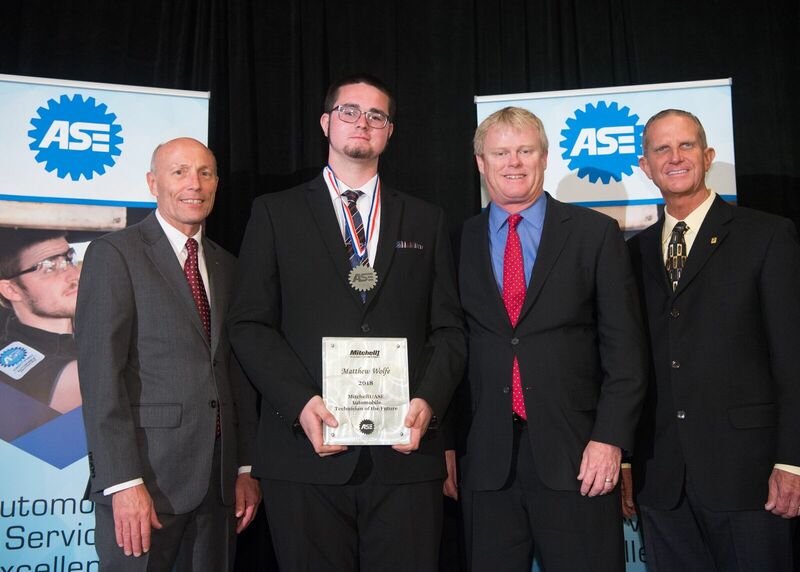 His accomplishments include being named Automotive Student of the Year 2017 by Central Pennsylvania Institute of Science and Technology; earning fifth place in 2016 and second place in 2017 in the Universal Technical Institute Top Tech Challenge; receiving a full scholarship to Universal Technical Institute and being named top of the class student speaker at the UTI graduation. Wolfe decided he wanted to become an automotive technician because he has always loved figuring out how things work. In his free time he enjoys collecting older garden tractors and riding classic motorcycles. He sees the value of his ASE certification as it allows him to have confidence in his automotive knowledge and it’s a way to let customers know that their cars are in good hands. To qualify to win the Mitchell 1 / ASE Technician of the Future award, the winner must be ASE Certified, must have registered as a student and have the highest cumulative test scores on the A4, A5, A6 and A8 tests.